Around 18 months ago I found out about a zumba class being held in work for employees. The class is held twice a week, an absolute bargain price, and the instructors are fantastic. I love cardio workouts and the zumba classes are so much fun, we have such a laugh for the entire hour that apart from the sweat and heavy breathing, you could almost forget that you're working out. Slow, toning exercise has never been for me, I get bored and distracted so easily, but with zumba, it's so fast paced and go go go, jumping straight into the next track and throwing yourself about like a crazy person. I can't always make it but I try my best to catch at least one class a week and even if I've had a really long, crappy day and I'm not in the mood at all the zumba around, once the class get's going I can't help but enjoy myself and always leave with a worn out but beaming smile on my face. How do you like to keep fit? Let me know in the comments below! 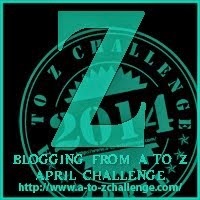 And with that comes the end of the A to Z Challenge 2014! Hurrah! We made it! It's been a long month and what a challenge! It's not been the easiest but I'm so glad I took part! 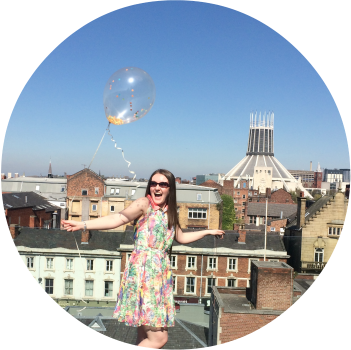 I've had the chance to write some varied blog posts and discovered some great new blogs and picked up a few new readers along the way! Win - win situation if you ask me! I've only taken Zumba a couple of times but I loved it so much! I really enjoy fitness Pilates too. I tried Pilates once and felt nothing afterwards so either I was doing it wrong or it just wasn't as intense as I though? The instructor did top up her lipstick every time we had a water break which I though was hilarious! I've always wanted to try zumba classes but I'm a little scared as my co-ordination is insanely bad! Mine isn't the best either but nobody's looking, they're all too busy trying to keep up AND thinking they're the worst in the class lol! On the other hand, I'm someone who experiences a lot of pain on a daily basis and my joints and back do not permit me to do high intensity exercise. There tends to be an overtone that people like me are somehow inferior to those who love fast paced exercise. I might love it if I could do it. 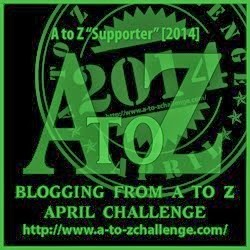 I'm visiting from the A to Z challenge list. May you always be able to do what makes you feel good.